Our product offering includes open mold items as well as custom shapes and colors. Kopp glass is the largest supplier of clear and colored glass lenses and pedestrian panels to the traffic signal market. All products are produced to meet the Institute for Traffic Engineering (ITE) Standards. Products include 8" and 12" ball traffic lenses as well as arrows and pedestrian panels. Stenciling for arrows and pedestrian panels is done through our enameling process in our finishing department. Kopp Glass has been producing lenses and lantern globes for the railroad market since 1926. The demanding colors, tolerances, and durability of the original lenses still apply today. All of our products meet American Association of Railroads (AAR) standards. Moisture and chemical resistant glass is perfectly suited for marine lighting fixture applications. Unlike plastic lenses which can degrade with sun and salt exposure, clear and colored borosilicate glass can withstand the elements and maintain their original color and tolerances. Kopp marine lighting fixture glass is available in a wide range of colors and shapes and can be seen on bridges, ships,docks, and buoys, which are produced to military and international standards. We also produce lenses and cover glass for fountain lighting fixtures and swimming pool lighting fixtures. 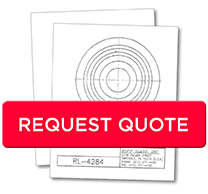 If you need pricing information or have a specific project that you need quoted, please visit our request a quote page.